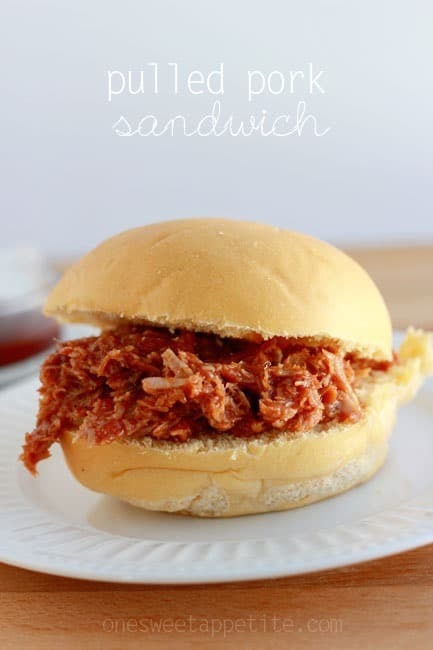 Pulled Pork Sandwich. 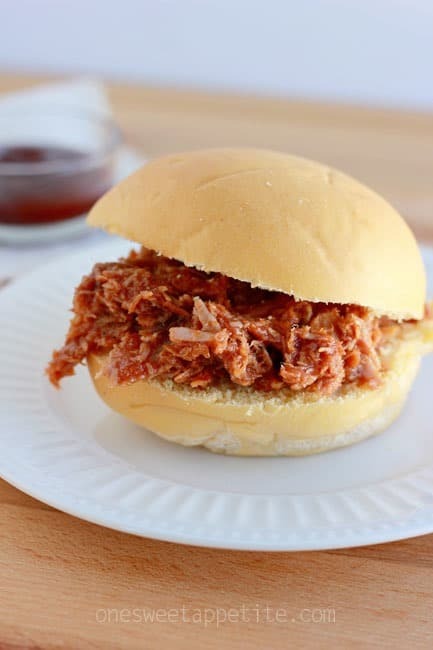 Combine three easy ingredients into your slow cooker and let the flavors blend to perfection. 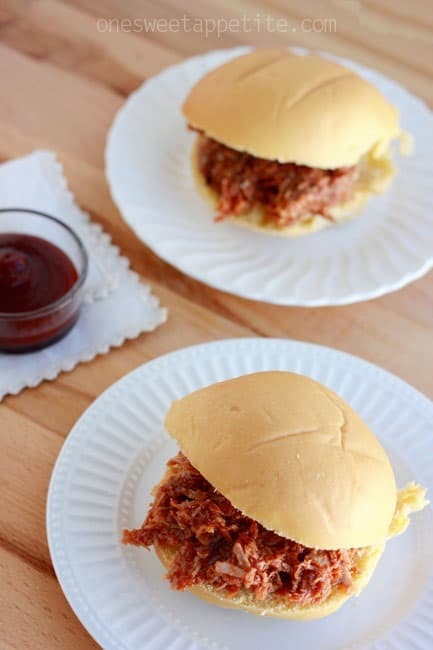 BBQ sauce, chopped onion, and a quality cut of pork gives you the perfect easy dinner recipe! We are big fans of easy dinner recipes. When I say easy, what I mean is stupid simple. 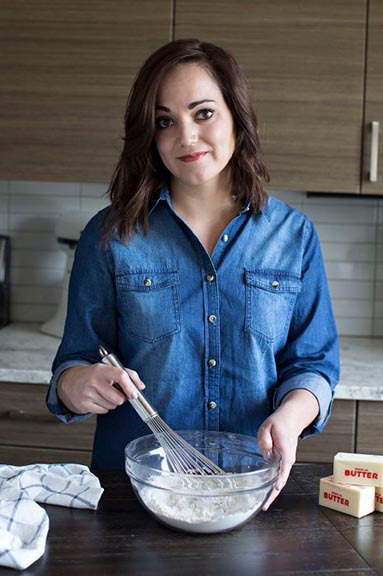 I am a working mama which means I really do not want to spend a ton of time in the kitchen after an eight hour day. Really, I would rather spend time with my kiddo. How can a recipe with just THREE ingredients be so amazing? The answer? Quality ingredients. We always pick a good tasting barbecue sauce for the base and spring for the nicer loin roast. Bottom line? DO NOT SKIMP. You really will sacrifice flavor if you do. Like this recipe? You will love my Pork Nachos, Balsamic Pork Loin, and Apple Baked Pork Chops! Combine all ingredients in a slow cooker. Cook on high for 4 hours or low for 6. *Always make sure to cook pork to the proper food safety temperature. I’m so happy your site is back!!! This recipe looks SUPER good! Have you ever tried Stubbs BBQ sauce? I used to LOVE Sweet Baby Ray’s, but since I became a ‘label looker’ I’ve had to switch because it’s a little higher in sugar than I prefer and also if I remember has high fructose corn syrup – next time you’re out grocery shopping check out Stubbs if you want to try something new 🙂 The Mesquite is my fav!… you are certainly welcome to stick to your fav of course.. just wanted to give you another great option!